Vending Service Area Archives | Vendors Source Inc.
Have you been looking for a wholesale vending machine distributor serving Warren, Michigan to buy vending machines for your business? 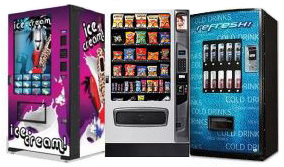 We are a full service wholesale vending machine company providing a broad range of vending machine services. Vendors Source, Inc. has many options for purchasing vending machines. 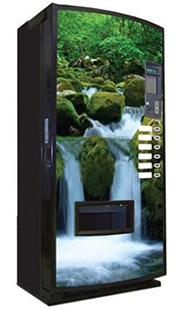 We carry new vending machines as well and used and refurbished machines. We have vending machines to provide just about any service. Some common machines we have are beverage vending machines, coffee vending machines, frozen vending machines, food vending machines, and snack vending machines. We also have financing options available to purchase new vending machines. Would your vending business benefit from a large selection of vending machine parts or excellent on site vending machine repair in Warren, Michigan? Our vending machine technicians are factory trained professionals and can provide any type of vending machine repair including refrigeration repairs. We carry the parts necessary to complete most repairs the same day we visit your business. Our warehouse has a huge selection of vending machine parts for many types of vending machines. Are you searching for a new source of products designed to be used in vending machines or hard to find items? Our warehouse has a large selection of brand name products designed for vending machines including Hostess, Bettermade, Frito-Lay, Pepsi Cola, Coca Cola, Herrs, Hershey, Nestle, Mrs. Freshly and Florida’s Natural Juices. We also have hard to find vending machine products and healthy vending machine snacks. Vendors Source has a full line of vending machines for purchase in Warren Michigan. We can provide vending machine sales, service, and installation. Vendors Source is a wholesale vending machine company with a complete line of vending machine services to support your business. We provide a one stop shop for vending machine businesses with services including vending machine sales, repair, parts, and food and beverage products. Visit our 30,000 square foot warehouse for the parts and products you need to operate your vending machine business. Vendors Source offers a comprehensive repair service and a large selection of vending machine parts for customers in Warren Michigan. We stock parts for the following machines: U-Select-IT, Federal, Wittern Group, Automatic Products, Seaga Manufacturing, Rowe, Vendo, GPL, Coinco, Crane National. If you are in Warren Michigan and searching for vending machines, vending machine repair, or products to fill your vending machines call Vendors Source today. We are your one stop shop for all your vending machine needs.